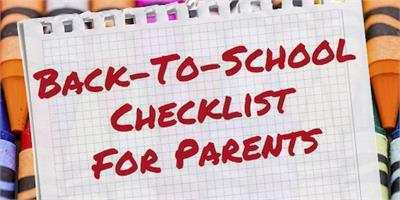 We parents place a certain faith in the educational system when we send our kids off to school each day. But it can be hard to know what’s really happening in the classroom. Is the teacher doing his or her job effectively? Are we doing enough or enough of the “right” things as parents to help our kids learn? We asked teachers about things they think parents should know—to address some of the most common issues they see with kids and parents. “Be involved in your child’s learning. Checking in and talking to your kids on a regular basis about what they are learning and how they are doing in school, is key. For example, review their notebooks and teacher feedback together often. This will tell you about them as a learner and where they need extra help. “Be honest. I really wish parents knew that they can be honest with me. The more open the relationship between the teacher and parent, the more successful the child’s school year can be. “When helping with schoolwork, talk less and listen more. Teachers and parents (including me) can try to teach children directly too early how to ‘do’ a math problem instead of helping them to build their own problem-solving capacity and knowledge, and thereby their own confidence in math. “Read with your child every night. Even if you are reading to them in a different language. Even if you are reading them the newspaper. This vocabulary development is so important to improving the children as readers. Contact the teacher if you have a question about what happened in school or about the homework. I have a lot of parents that complain about communication from teachers, but it is hard to call every parent consistently. Most teachers are happy to answer any questions. Ask your child what they learned in school that day.